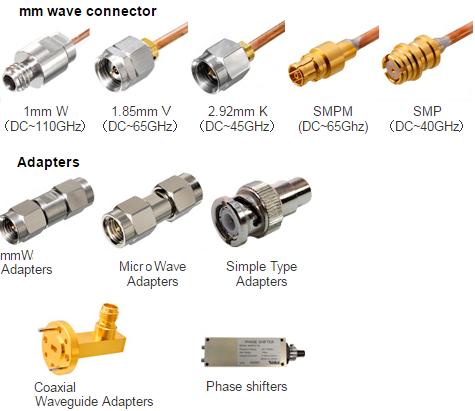 Coaxial connectors and cables carrying microwaves up to 110GHz, plus microwave components such as phase shifters and ﬁlters. These are proprietary designs based on many years of experience and understanding of electromagnetic ﬁelds, in particular in the millimeter wave band (mmW). From design through to production, Waka is established as a leader in the field for these established products as well as custom solutions to fit customers' microwave designs. Daitron specializes in stocking for your specific needs to offer JIT delivery around the world at your schedule. Contact us today for your Microwave coaxial component needs.